Our name was coined from the Spanish word Avenida, which translates into English as “access road,” and the Confucian term Dao, which means “correct path” and philosophically signifies the “origin of all things.” Hence, Avenidao, which represents our goal to provide an access road to the correct path, i.e., an assisted view into the origin of all things. We imagine Avenidao as a place of refuge, peace and regeneration. If you are at a personal or professional turning point in your life, seek relaxation or simply wish to escape from the everyday hussle and bussle of city live, we welcome you to explore tranquility and your inner balance with us. Since ancient times, Far Eastern cultures placed a great deal of emphasis on physical activity and spirituality, regarding it as a foundation of well-being and even disease prevention. Unlocking this incredible vitality through mind-body-connection is what we strive for. No matter if you are a seasoned athlete or pull quick sport sessions in between lunch breaks, we hope to help you heal by reconnecting the essence of physical movement with your inner-self. but also for what you don’t do. Prior to starting Avenidao, we found ourselves at crux with busy careers and wanting a healthy lifestyle. We sought personable and deeply enriching support, however became unwilling at one point to continue to spend large amounts, of time and money, on ashrams and spa centers. We wanted neither esoteric fundamentalism nor materialistic wellness consumption. Our interest lay simply in a manageable, undogmatic, approach to health and well-being. Unfortunately, we weren’t able to find this place. Hence, we created our own: Avenidao. And we’re really happy to share it with you! 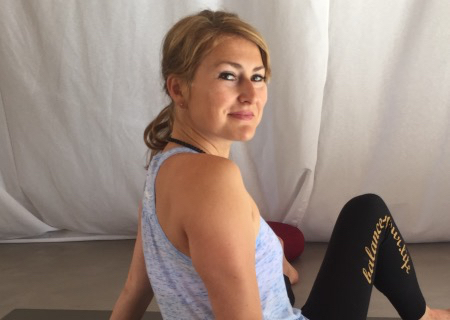 After almost a decade of professional experience in the financial sector and seven years of avid yoga practice with experienced teachers around the world, Patricia finally took the leap to pursue her passion as a full-time yoga instructor and coach. This was more than two years ago and ever since she strongly believes in continual training to further advance and learn. 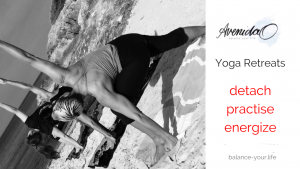 Teaching in small groups has allowed her to develop a personal approach geared at each individual, using elements from Hatha, Vinyasa, Ashtanga and Yin Yoga. We feel this is a nice change from the often unreflective and impersonal mainstream yoga experience. She continuously complemented her knowledge and eventually became a nutrition expert to be fully involved with body and mind. Patricia specialises in Ashtanga, which she has continued to practise throughout her pregnancy until her sweet daughter was born at the beginning of 2016. Exercising, whenever possible together with her baby, also helped to get reconnected to body, mind and all your senses pretty soon again. More than twenty years of a high-pressured job in the financial industry has left its mark with various experiences and impressions. 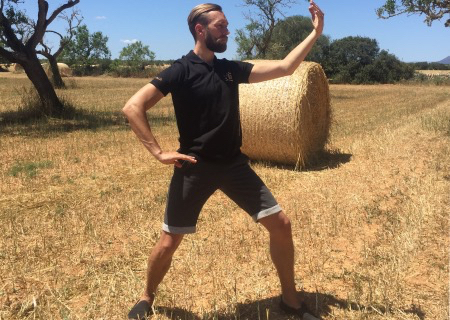 Jörn tried an array of martial arts before he settled with Dao Wing Chun and Qi Gong over ten years ago. As a qualified instructor in both disciplines, Jörn prefers to teach in smaller groups, for he knows about the daily madness that comes with demanding careers and thus the indispensability of a personal and individual approach. Comprehensive experience in Mindfulness Based Stress Reduction (MBSR), meditation retreats or as certified awareness coach complement the physical elements. All those various disciplines and elements form an ideal foundation from which to tailor made individual programmes for coachees and retreat participants alike. as soon as you stop, you drift backwards. Yoga (physical movement), meditation (relaxation) and Qi Gong(consciousness) are the three pillars which form the cornerstone of our idea. We would like to (re-)connect our guests with these elements, and you do not need prior experience nor do we expect high performance athletes. We merely ask for open-mindedness and a healthy dose of curiosity. Since ours is an undogmatic approach, we focus primarily on your well-being and not so much with theoretical philosophies. It is possible to combine the aforementioned basic elements with activities already familiar to you or those you have always wanted to try out or to even improve upon. We wish to steadily incorporate other activities, such as cycling, running, hiking, horseback riding, golf, kite surfing and much more. We tailor-made your individual experience, no matter if you want to visit the island as a single person or as a group. For a weekend trip or longer. Grounded in Aryuveda, yoga is a rich tradition of knowledge and praxis from India. Meditation, breathing techniques, concentration and focus on the inwardness come together to reconcile body and mind. It strives to prevent physical illness, such as back pain, headache and postural complaints, in order to dramatically improve general health and well-being. Meditation provides an excellent means of attaining peace of mind. Various proved and tried techniques allow us to literally shut down surrounding noise, calm our nerves and achieve inherent relaxation. Rooted in Chinese medicine, Qi Gong surrounds the workings of the human body. As with yoga, mind and body are seen as one unit, which can be only treated as such. NOT BY THE STALEMATE OF YOUR WORK. You prefer to receive more details? Are you alone or planning for a group? If your desired date is not present, or you would like to combine differently, then just email or call us! A carefully selected combination of complementary yoga exercises from i.a. Yoga Nidra, the Art of Sound Healing using Tibetan Bowls and Energy Work helps focussing on the heart chakra. 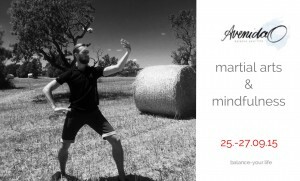 This yoga retreat will interweave asana practice with mythic narrative and yogic teachings to create a rich experience of alignment. Ela’s gentle and compassionate dedication to yoga inspires and holds space for students to journey deeper into their body, heart, mind, and spirit. This retreat is suitable for all levels and backgrounds. 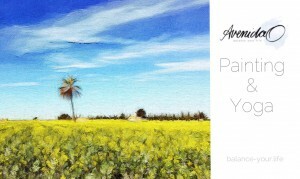 A full week break with Vinyasa Yoga in the morning and meditation and Yin Yoga to relax and switch off in the evening. Energizing calm, to escape from everyday life and feel yourself again. Recharge your batteries in the pleasant October climate. The yoga retreat is a good opportunity to leave everyday life behind and to immerse yourself in yoga with a lot of peace and time. A yoga practice of at least one year would be an advantage as we would like to deepen our yoga practice here. Almost everywhere we experience some sort of stress and in very rare cases it is actually positive. 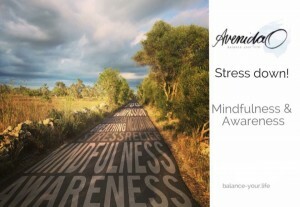 In our everyday lives stress becomes rather more than less and sometimes creates a lump in our throat. Reducing stress? Very hard to achieve. Even on a lonely, sunny island we would certainly experience some sort of stress. However, dealing differently with stress can be learned. This is precisely the goal of our retreat. With mindfulness exercises, elements of Qi Gong and the Mindfulness Based Stress Reduction (MBSR) program we learn to switch off our autopilot, again to live in the here and now and to eventually feel the current moment again. The basis for more serenity and sovereignty in everyday life. In four days of course, we can not completely wipe out stress, but recognize behavior patterns and provide a toolkit with which to be better equipped in everyday life. And that already is a very good start. Painting from the heart center. In everyday life we are often recognized that we leave our body, the breathing and the emotions with little clearance. In order to break our habit patterns, we are expanding our space through meditation, yoga, breathing and visualization. The beauty and energetic power of the colors of Majorca lead us into a world of sensations. 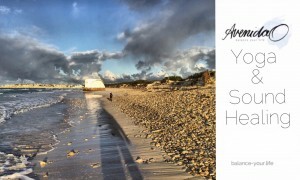 Thus, we create free pictures full of inner peace, joy and self-confidence. Individual retreats for singles, couples or small groups. Just give us a call or send a brief email and we get back in touch with you to plan a truly energising and individual retreat. Individual course dates upon request. Enjoy an extended weekend nurturing your body and mind. Is it the case that you have beginner or limited or maybe even no experience in martial arts? Ever thought about starting to get to better know your body in a safe and trusted environment? And maybe even complementing this physical experience with learning more about your own mind? Then visit us for an extended weekend. You will learn self defence techniques, advance your body coordination movements and put all these in perspective with mindful acting and meditation. You will notice how it all complements each other. The martial arts training will be based on Dao Wing Chun, an internal kung-fu style sharing also elements of Chinese philosophy and health improvements. We do plan with a small private group of no more than eight like-minded people. People use coaches for a variety of different and diverse reasons. You may be at a personal or professional turning point in your life. On a personal front, you may want to take care of your wellbeing, regain confidence, nurture important relationships with family and partners or find meaning in or re-balancing your life. On a professional front, this may be about improving to lead and manage people; being more effective with ever-increasing responsibility or knowing how to step up into exciting, yet frightening, new roles and challenges. We believe that we experience a balanced life, when we are aware and have clearly articulated our inner values, life purpose, and intrinsic gifts and talents. Actively living in alignment with our own values, purpose and gifts by also acknowledging when we are actually living in this alignment can be very powerful. People generally have the ability to react differently to a particular situation. There are different types of reactions and people have also the freedom not to act at all. This freedom entails great responsibility. Whether we are made aware of the choice or not, we are responsible for the consequences and the impact on others and on ourselves. Our coaching is based on the understanding that creating this awareness ourselves enables to realizing this freedom to act. There are many different models being used in psychology as well as in coaching practice. We work alongside a systematic approach to facilitate your thoughts, your wishes and needs into a vision enabled by your goals. Together we are setting and honing landmarks for development on the way towards your own vision. However, our support doesn’t stop short here, but only reaches the final stage once goals are actually being put into real life actions. Everything is based on your own values, your personal horizon, which we are sure will change over time. We can arrange onsite face-to-face meetings in London in a mutually agreed location that could range from a neutral office, some segregated private room or a walk in the park. The key focus is your well-being and good feel. Additionally, we organize extended weekends or longer on Mallorca in a remote and tranquil surrounding. Here, we do have the time and detachment from your daily routines to exclusively work towards your visions and goals, leaving all the noise around you behind. We can and will complement this with mindfulness exercises, meditation and other supporting actions. Just give us a call or send us a brief email and we are happy to discuss in more detail and develop together a personal programme. Avenidao, it’s your way, but you are not walking alone. BUT THE VIEW TO IT WILL REMAIN THE SAME. This notice explains how we at Avenidao collect, use and protect your information. We need to know your basic personal data in order to provide you with on-going organisational updates and analysis services in line with this overall contract. We will not collect any personal data from you we do not need in order to provide and oversee this service to you. We are required under tax law to keep your basic personal data (name, address, contact details) for a minimum of years after which time it will be destroyed. Your information we use for marketing & newsletter purposes will be kept with us until you notify us that you no longer wish to receive this information. All the personal data we process no 3rd parties have access to, unless the law allows them to do so. If you would like to exercise any of the above rights, please email or write to us at the address on the bottom of the notice. If you would like to lodge a complaint with your local data protection authority, please contact the authority directly.